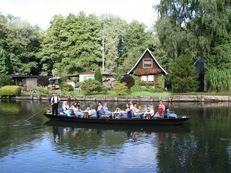 A boat ride through the intricate network of streams is one of the most popular activities for visitors to the Spreewald. 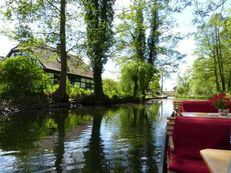 Let your ferryman punter take you past picturesque Spreewald villages, peaceful meadows and imposing forests. 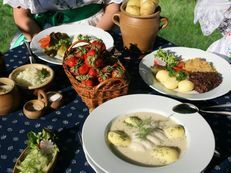 You will learn exciting facts about sights, traditions and customs and treated to Spreewald gherkins with bread and dripping. The main season for boat rides goes from April to October. During this period, boats depart at hourly intervals. You should plan 2 to 3 hours for a boat ride, while special theme rides can also take longer. The winter timetable applies from November to March. During this period, selected ports and boat houses offer winter rides or mulled wine boat rides. Well wrapped up in a blanket and fortified with mulled wine, you will be on the water for around 1 hour. In particularly severe winters when the streams freeze over, the boats are replaced by sledges pushed by ice-skaters. 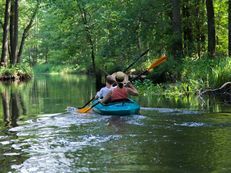 We recommend that groups book a boat ride before arriving. 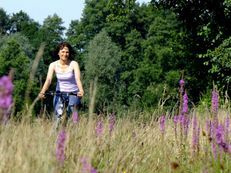 You can either book one of our flat-rate offers for groups (e.g. with a visit to the distillery) or have a customised offer drawn up for you.